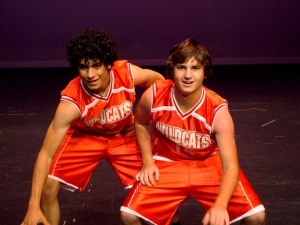 "DISNEY'S HIGH SCHOOL MUSICAL," the story of two high school students and their quest to play the leads in the high school's spring musical. 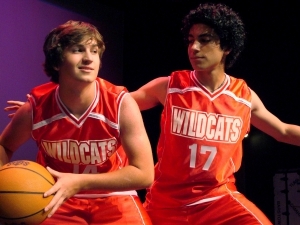 Troy Bolton and Gabriella Montez meet over winter break after they were forced to sing together at a party. They become friends, and expected not to see see other again. But then, Cabriella's Mother's company transfers her to another home in Alburquerqe, New Mexico, where Troy lives. Troy and Gabriella end up at the same school after winter break. They decide to audition for their school's musical, and after they audition and get a call back, they are cast as leads in the musical. Sorry this performance of Disney's High School Musical is sold out. A wait list will be made available starting one-hour prior to the start of this performance. You must show up in person to place your name on the list during this time. 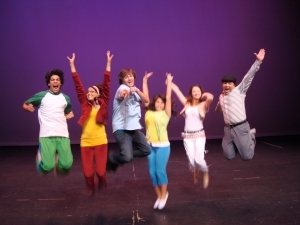 Sorry this performance of Disney's High School Musical is not on sale yet. Most performances go on sale no less than four weeks before the production begins. 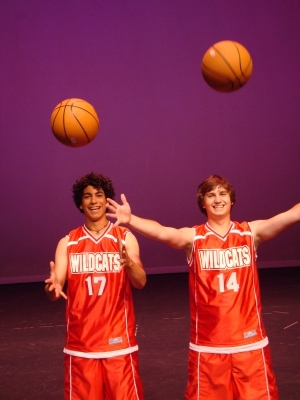 Do you have any questions, comments or concerns about Disney's High School Musical ?. Please fill out the form below and someone will return your inquiry shorty. 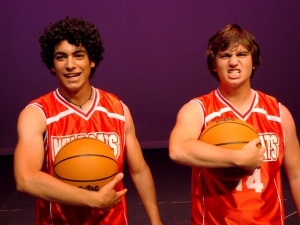 Please notify me when the images and/or program from the production of Disney's High School Musical becomes available.